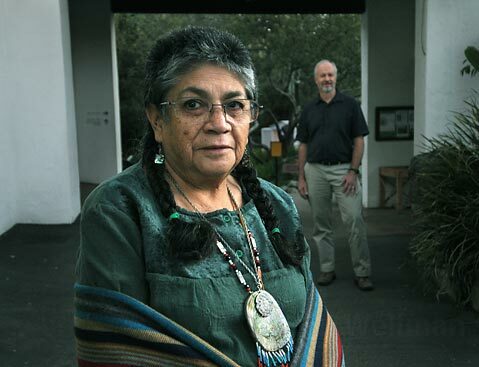 Ernestine Ygnacio-De Soto, with the help of anthropologist John Johnson, tells 200 years of matrilineal Chumash history in <em>Six Generations</em>. It’s impossible to grow up in the United States without repeatedly encountering stories about the Native American experience. But, unfortunately, almost all of those tales tend to be about men and frequently are focused on Southwestern or Northeastern tribes, leaving us clueless about the female perspective and keeping things deafeningly silent on the sagas of countless other First Peoples. 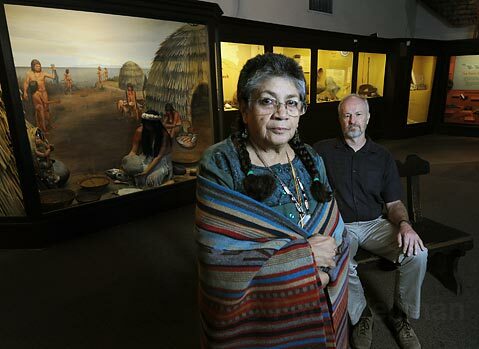 That’s about to change thanks to Santa Barbara’s Ernestine Ygnacio-De Soto, who-with the help of anthropologist John Johnson and filmmaker Paul Goldsmith-is bringing 200 years of matrilineal Chumash family history to the Southern Californian masses. Based on a storytelling performance that Ygnacio-De Soto has given to thousands of people throughout California during the past decade, the hour-long documentary Six Generations is set to air on KCET twice this week and, for those who’d prefer a bigger screen, will also be shown at the Santa Barbara Museum of Natural History on November 18. Six Generations showcases Ygnacio-De Soto recounting six separate biographies, starting with her great-great-great grandmother and carrying on down the line to her mother, Mary Yee, the last speaker of the Chumash language, and to herself. As Ygnacio-De Soto channels her ancestors by telling each story in the first-person, the film showcases images from the respective eras, in much the same manner as Ygnacio-De Soto’s lectures, which were illustrated with simultaneous slideshows. Goldsmith initially thought he could just get out of the way and let Ygnacio-De Soto’s story shine. “I didn’t want it to be just another white man making a story about Native Americans,” he said. But it turned out to be a much more challenging process, and it wasn’t until he worked on the recent PBS series about Native Americans called We Shall Remain that he developed the right storytelling approach to make the theatrical performance work on celluloid. Six Generations will be on KCET this Thursday, November 12, at 8:30 p.m. and Sunday, November 15, at 4 p.m. It will also be shown at the S.B. Museum of Natural History on Wednesday, November 18, at 7:30 p.m. See sbnature.org.